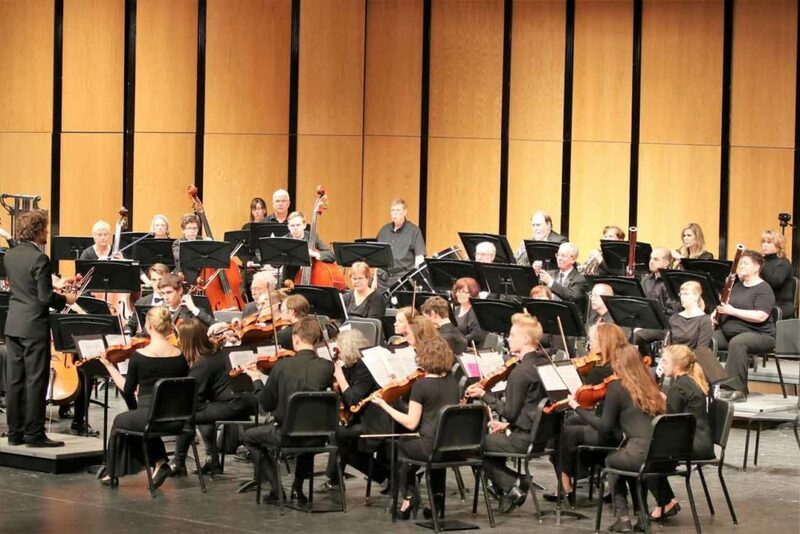 Buffalo Community Orchestra’s purpose is to make music, educate instrumentalists, connect with our community, and provide recreational and performance opportunities to area residents. Get to Know the BCO! BCO members have many vocations including scientists, teachers, healthcare providers, stay at home parents, students and everything in between! Since the first concert in 1995, BCO has hosted a post concert reception, providing audience and orchestra members the opportunity to mingle and celebrate the evening of music. 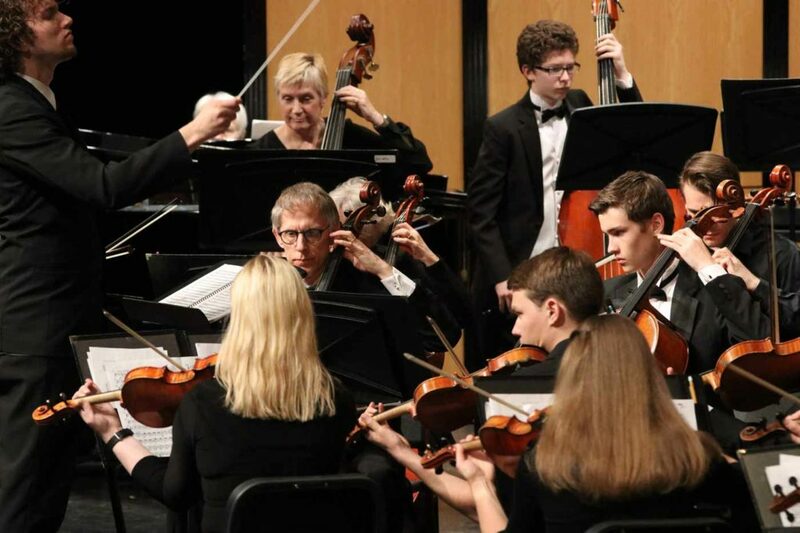 Several years ago, members of the BCO string section formed a string ensemble called “Trillium.” Trillium has performed at local fundraisers and community events around Wright County. Contact us if you are interested in having the ensemble perform at your next event! As a 501(c)3 non-profit corporation, the BCO relies on grants and donations from individuals and businesses in our community to help us keep the music alive. The cost of bringing each concert to the stage includes music costs (purchase and rental), conductor fees, concertmaster fees, music publishing fees, publicity costs, hall rental/custodian costs, and poster/program printing. Please consider making a tax-deductible donation! During the 23-year history of the BCO many gifted conductors have taken to the podium, many of whom at the time of their tenure were pursuing their Doctor of Musical Arts degree. 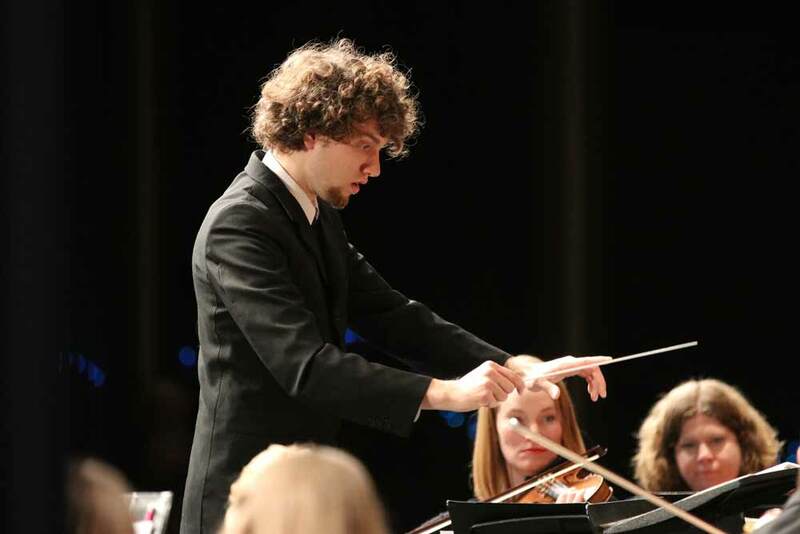 Our current conductor, Ernesto Estigarribia, is slated to complete his degree in May of 2019. 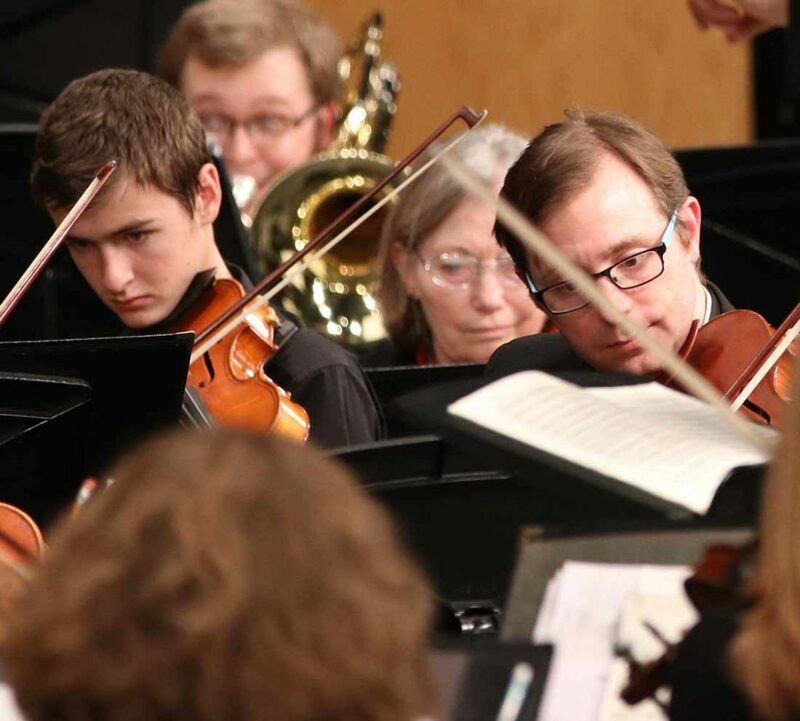 The BCO collaborates with numerous other community groups including: Wright County Chamber Chorus, Buffalo Community Theater, Buffalo High School Concert Choir and Buffalo High School Orchestra, wRight Ringers Community Handbell Ensemble and the Bravo Strings of Montrose. 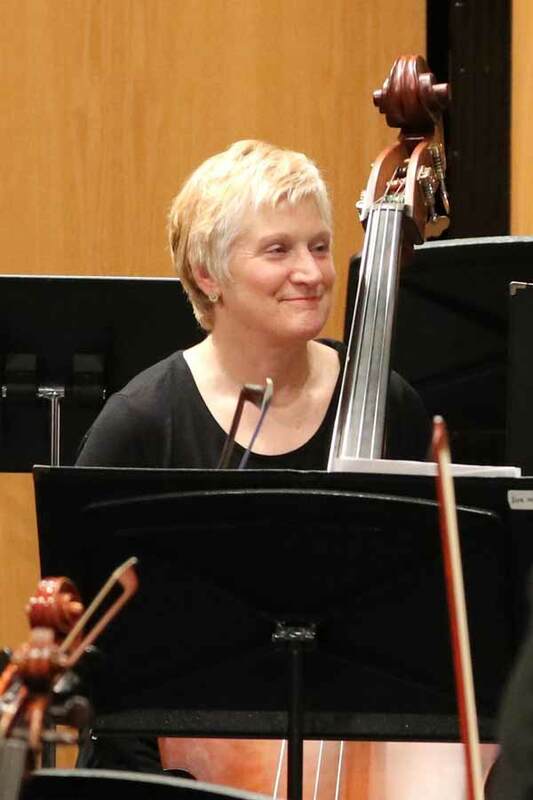 Buffalo Community Orchestra (BCO) was born on July 9th, 1995 as several talented and dedicated musicians and community members gathered at the home of Mary Ellen Lundsten for an evening of food, music, fellowship and a lot of planning. 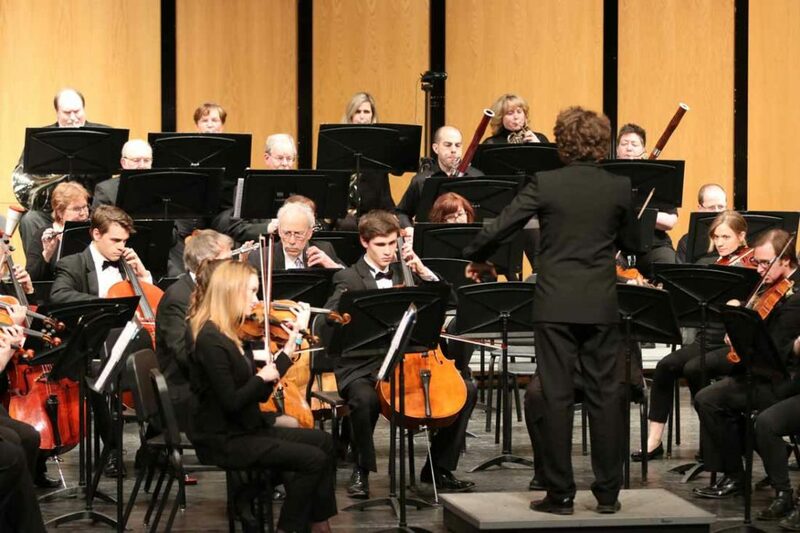 Buffalo, a small community west of the Twin Cities Metropolitan area, had begun to establish itself as a strong supporter of the arts, and what better to add to the community than an orchestra! A few short months later on November 26, 1995, under the direction of Mary Roberts Wilson, 39 local musicians graced the stage. Handel, Beethoven, Andrew Lloyd Weber and even a little polka was played at the Buffalo Community Orchestra world premier! 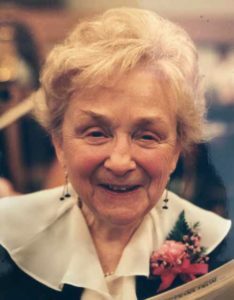 Mary Roberts Wilson, in her short tenure with the orchestra and with great patience and humor, brought out the best in the musicians, many which were playing their instruments for the for the first time in several years as well as many young musicians whom were experiencing orchestral music for the first time. Now, 20+ years later, membership has grown to 60+members. Through its tenure, BCO has grown in members, audience support and repertoire. From early concerts comprised of pop music and simple orchestral pieces, to recent performances of Beethoven Symphony No. 5, Dvorak 8 and Dvorak 9, the orchestra continues to challenge its members musically and enhance audience appreciation of orchestral works. BCO looks forward to performing Tchaikovsky’s Symphony No. 5 in the fall of 2018. BCO prides itself on collaborations with vocal and instrumental musicians, community arts groups and the local community theater. In December of 2000, the orchestra put on their first annual holiday concert, Holiday for Orchestra! With Ringers and Singers. This concert, which displays the talent of the wRight Ringers Community Handbell Ensemble, the Wright County Chamber Chorus and the Buffalo High School Concert Choir, has grown to one of the most popular and loved events of the concert season. The Buffalo Community Orchestra believes in developing and growing music in the surrounding community. In 1999, for the first time, BCO joined with Suzuki String students from Montrose, MN (now known as the Bravo Strings of Montrose). This collaboration has become a staple of the concert season. What started as a few students performing a pre-concert showcase in the early years has grown to young students performing side by side at least once during the concert season. Since its inception in 1995, the Buffalo Community Orchestra has welcomed eleven conductors to the podium. BCO has been fortunate to have lean led extremely talented conductors, many of whom during their tenure were working towards completion of their Doctor of Musical Arts at the University of Minnesota. Notable music directors include Mary Roberts Wilson, John Sall, Nicholas Wallin, Brendan Caldwell, Peter Jacobson, Foster Beyers, Erik Rohde, Paul McShee, Lindsay Boyd and current music director, Ernesto Estigarribia. 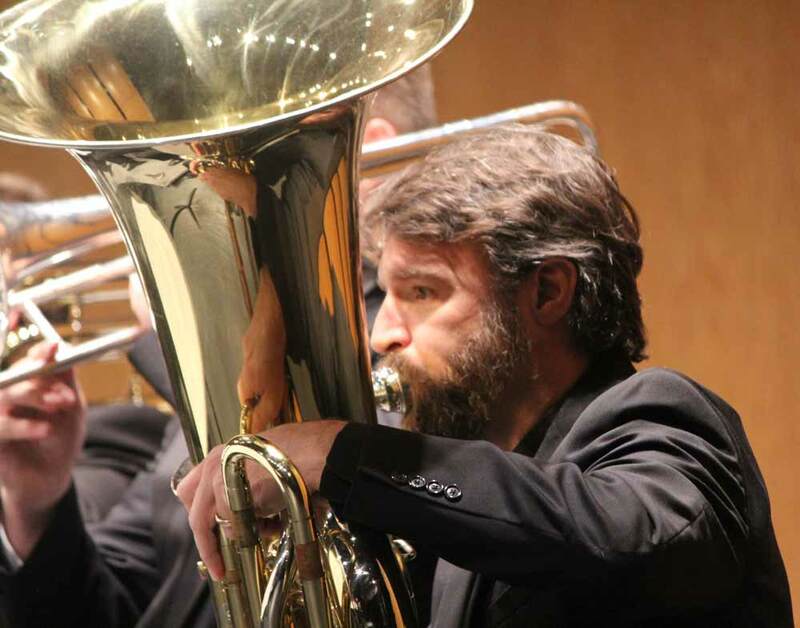 Buffalo Community Orchestra is a Minnesota non-profit corporation with the Section 501(c)(3) designation from the IRS. BCO is funded by corporate and private donors, contributions from member-musicians, and grants from the Central Minnesota Arts Board.